While many Colombians seek prosecution of FARC rebels who committed crimes against civilians, the FARC has only committed to “review” any “error” that it has made in the course of the conflict. While a step in the right direction, this will likely not go far enough for Bogotá. Santos’ predecessor, Álvaro Uribe, and his supporters, have accused the administration of offering the FARC exemption from any punishment if the rebels disarm. Santos will probably seek reelection in 2014 and must find a balance between making enough concessions to keep conflict resolution alive without losing too much support from the Colombians seeking prosecution of FARC rebels guilty of murder, kidnapping and drug trafficking. The concentration of land in the hands of a wealthy minority has been a source of tension throughout Colombia’s history — today 52% of Colombian farms are owned by 1% of the nation’s landowners. This, and economic inequality more generally, drove the FARC to take up arms against the Colombian state 49 years ago. Land redistribution remains a contentious issue, with the FARC maintaining that the government should hand over approximately 50 million acres of land to poor Colombians and impose limits on how much property a single landowner may possess. While the Santos administration has stated that it will not seize land from private landowners, it agrees that some redistribution of land is necessary to achieve an enduring peace. Colombia’s elite landowning class have naturally staunchly opposed the concessions Santos has already made on this topic, so it is questionable whether he will be able to deliver on that topic. Santos’ effort to end the war must also be analyzed in an international context. Colombia has historically relied on the U.S. for support in its war against the FARC. It now wonders whether America’s “pivot to Asia” and military budget realities will come at the expense of the two countries’ military partnership. With Hugo Chavez now gone, and with it, presumably, much of Venezuela’s alleged support for the FARC, the Colombia/Venezuela rapprochement that began under Santos’ presidency has had a chance to blossom. This shifting regional landscape, combined with uncertainty about the duration and strength of military support from the U.S., have been an impetus for both sides to revisit peace talks. 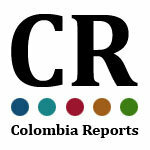 While Bogotá and Caracas’ improved relations have not undermined the Colombia/U.S. relationship, the U.S. must view Venezuela’s improved ties with Colombia as a geostrategic setback to its larger interests in South America. The fact that Cuba is playing the role of peace maker in the hemisphere’s longest enduring war is indicative of an increasingly multipolar world in which Washington’s influence is balanced with that of smaller states, whose agendas are not aligned with the U.S., and which now have the ability to influence the course of events. It is significant that this is occurring in a country with such strong ties to the U.S. Havana may as a result become more assertive in the foreign policy realm and spread its influence in some non-traditional ways – rather than simply pounding a socialist drum. This is a reminder of how much times have changed, and that the days when the U.S. calls the shots and drives change in Latin America are long gone. Given its geostrategic position, sitting at the intersection of Central and South America, and sharing land borders with five Latin American states, Colombia has the potential to utilize its geography to substantial economic and political advantage. The war with the FARC has stood in its way, not only preventing the government from exercising control over all of its territory — and its vast coal and oil resources — but from devoting more of its resources to the promotion of its regional interests. Daniel Wagner is CEO of Country Risk Solutions, a cross-border risk advisory firm, and author of the book “Managing Country Risk.” Giorgio Cafiero is a research analyst with CRS based in Washington, D.C.